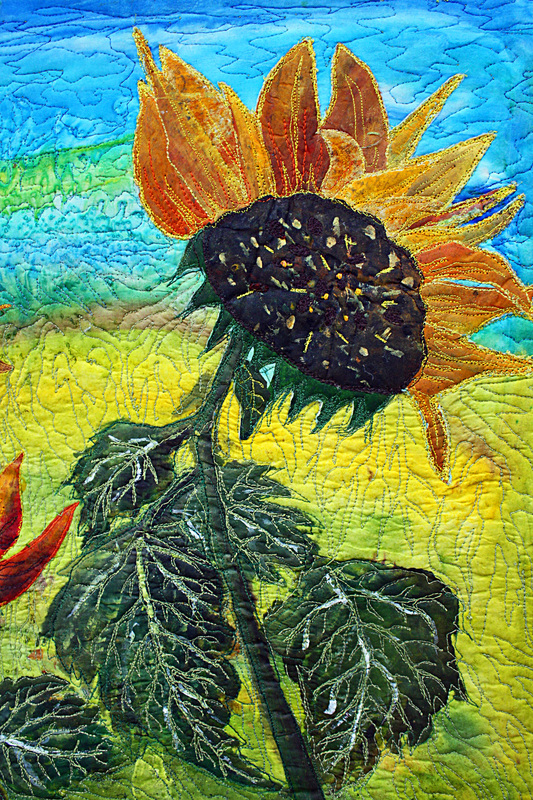 Here’s my newest art quilt. 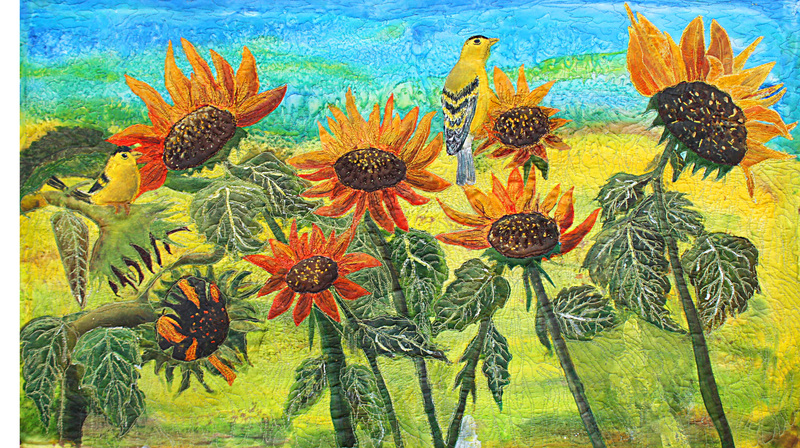 It is an original hand painted silk wallhanging. 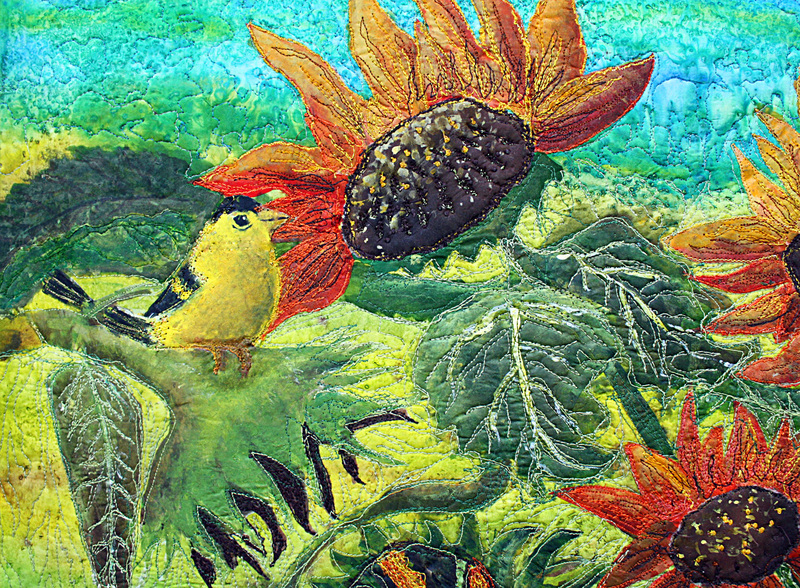 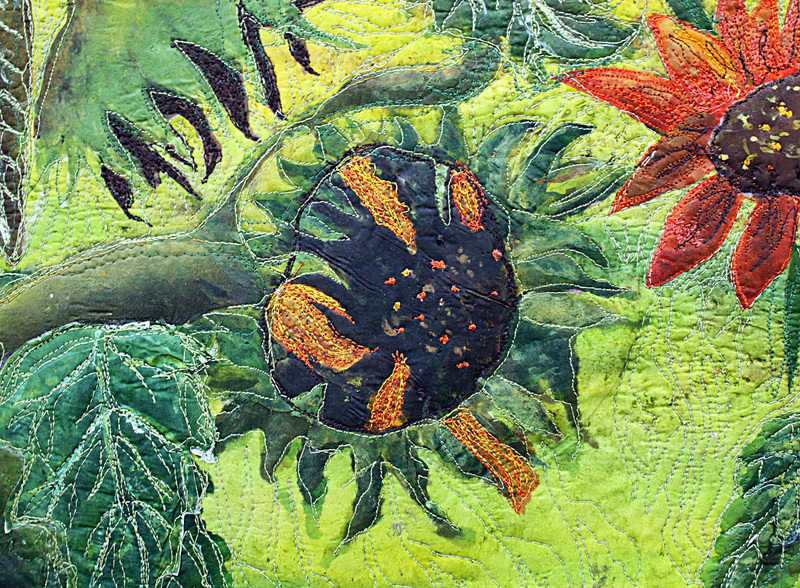 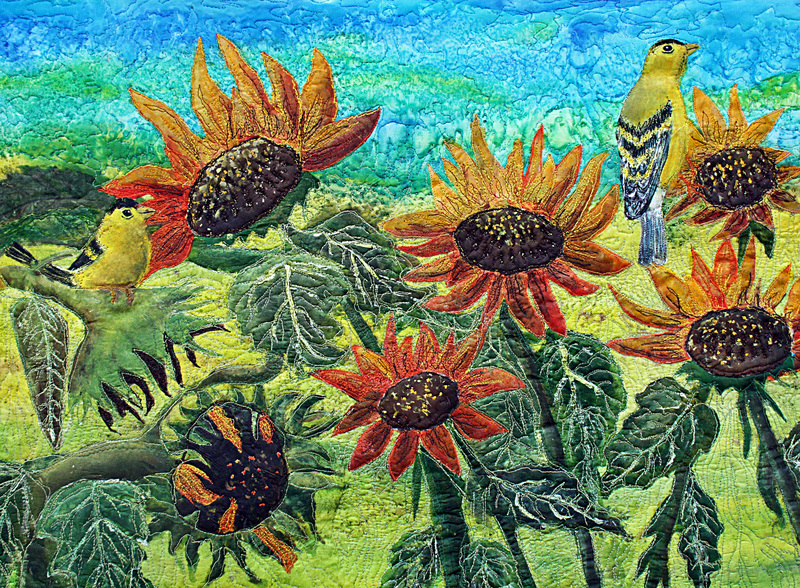 I used appliqué and thread painting on the sunflowers and 2 yellow birds for added detail.